BLACKFOOT — Students in the Blackfoot School District could get an extra half hour of sleep on school days. That is, if trustees approve a plan to bump back school start times. 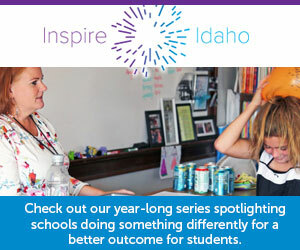 The district is soliciting feedback from parents about the potential change, Blackfoot Superintendent Brian Kress told Idaho Education News. Parent surveys, slated to go out by the end of the month, will probe public opinion on current start times. Other survey questions gauge family and work schedules, student wakeup habits, and whether parents would still need to drop their students off at the same time if trustees approve the change. The change won’t amount to a loss in seat time, Kress said, since the district would push back all school end times by 30 minutes. Blackfoot’s large, mostly rural makeup contributed to the idea, said Kress, adding that some kids living in remote areas have to board buses as early as 6:45 a.m. Depending on feedback, the district could either adopt the change or keep the current schedule. Click here for the district’s 2018-19 calendar, which includes start and end times at all schools. Click here for the parent survey.